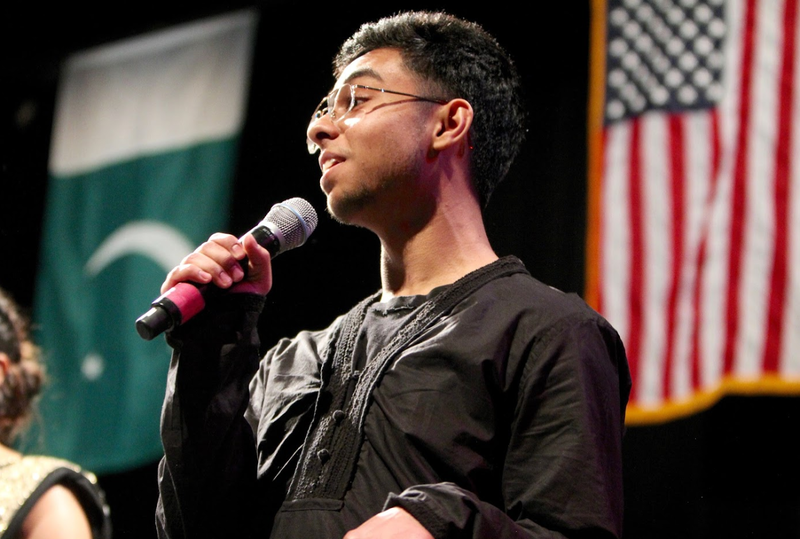 As the final step in choosing a commencement speaker for the Class of 2017 Graduation drew to an end, the entire process came to a halt Tuesday, April 11 when one of the nominees, senior Isaiah Chauhan, was disqualified. From the 19 applicants, seniors Claire Embil, Asma Akram, Jackie Baik, and Chauhan were selected by the commencement committee to present their speeches in front of the entire grade in the auditorium yesterday during homeroom. Students were then able to vote for the speech they thought best represented their grade. Chauhan — more commonly known as Izeezus among his classmates — had won the popular vote but was ultimately disqualified. According to principal Dr. Jason Ness, Chauhan was disqualified due to the fact that he did not present an actual speech, but rather, a campaign as to why students should vote for him. According to student activities director Katie Odell, a recount vote is currently being held through a link sent out through email. Seniors are encouraged to vote for the speech they think best represents the class of 2017 from the remaining contenders. Students must be signed into their school account in order to vote. In light of this recount, Chauhan started a petition, which currently has 123 signatures, to regain his status as the commencement speaker. Odell has been heavily involved throughout the process and says she agrees with Dr. Ness’s decision. Although admitting that his speech did not follow the requirement that was given to the nominees by the commencement committee, Chauhan defends his actions, arguing that the fact remains he won the popular vote. Chauhan stands by his speech, stating that it was outside of the box and he wanted to make a speech that was different than previous speeches given at graduation. His disqualification has upset many members of the senior class. Chauhan believes his supporters were disrespected and their voice was not taken into account. “The fact of the matter is, many people are too afraid to go out and take crazy risks like this, with the possibility of getting in huge trouble. I feel that it is my responsibility to be the one willing to take hits, to make risky moves, for the sake of the art. For the sake of expression. For the sake of the voice. People wanted me to win, and I feel like my disqualification was a huge form of disrespect to everyone who supported and believed in me,” he said. One of Chauhan’s biggest supporters, senior class Vice-President Sokol Delisi, feels that Isaiah has been wronged. “I am a firm believer that Isaiah is an individual that believes in everyone and hears everyone’s opinion, regardless if it goes against his personal beliefs. I am beyond blessed to be his senior class Vice President, but more importantly his friend, classmate, and fellow Kanye lover! I’m very disappointed with the way Niles West handled the situation. The individuals that disqualified him were the ones that elected him to speak. The integrity of the process has vanished. If this does not get resolved, then I’m disappointed to be a part of the graduating class,” Delisi said. Embil, who is one of the contenders in the new poll, said she hopes the speech given will be representative of everyone in the grade and not just a specific group of people, highlighting the fact that this may be the last graduation ever for some people. Embil hopes students will take this fact into account when they vote once more. “This is all I’m going say about commencement speaker: For some kids, maybe not me or you, but for some students, this is the last graduation they are going to get. Not everyone is going to or going to finish college. It has to be meaningful. It’s important that this speech is inclusive and representative of everyone’s experiences at Niles West and that’s not easy to do with a class of almost 600, but I tried, I didn’t want to talk about myself because this isn’t about me. It’s about us, all of us,” Embil said. So he admits to breaking the clearly stated rules and yet he still would like a shot. I have some news for you kid in the real world when you break the rules you’re out. Popular vote or not. He failed to follow simple direction, revoke his diploma, send him back a year. This child should be left behind. Trying what he did in the real world would have gotten him fired. I understand that some people are mad because he was “wronged.” However, at some point, you all need to move on. Respect the committee’s decision. Something significant was wrong, so Dr. Ness had to come in into this matter. Saying things as “disappointed to be a part of the graduating class” is not only disrespectful to others nominees, but also to the hundreds of students of the graduating class. Individuality is not discouraged but at some point, there has to be a bright line for everyone. Finally, 1) By not respecting the committee’s decision, you are hampering the integrity of the process itself: I hope you see the irony. 2) I have nothing against you, my friend: people with the popular vote are just going through some bad time lately. Good luck with anything you do in life. This is not even a controversy. He admitted to the fact that he did not follow the rules. It is evident that what he was doing is being disrespectful not only to those administrators but also to those who were running against him. Why should the fact that he deliberately chose to ignore the rules allow him to now be upset that he was disqualified. If he wanted to do this so badly then he should have displayed that in his speech. Everyone saying this is “corruption” needs a reality check. If someone was running for something much more serious, such as a political position, and they did not follow the rules and were disqualified no one would say that it was corruption. There is no reason for him to whine about something that he clearly he didn’t prepare for. Next time maybe follow the directions, and you won’t be left with a “controversy”.